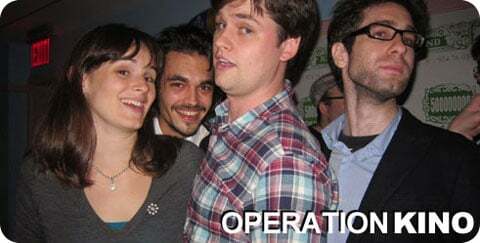 This week on Operation Kino, we send out 2012 with a little bit of Carly Rae Jepsen and three separate top 10 lists, with Katey, David and Patches counting down their top 10 films of the year, and Da7e bravely moderating as always. Find out which four films made all three of our lists, which film inspired Patches to use the patented David Ehrlich top 10 cheat, which two separate rotund funny men snuck into the top 10, and much much more. 2012 isn't officially a wrap until we say so! In the spirit of the season of giving, we also want to briefly say that we appreciate all you listeners so very much, as your feedback on twitter and your iTunes reviews help keep us feeling like crazy people shouting into the Internet void (well, most of the time). As we get closer to our hundredth episode, we're all consistently amazed by the way our audience keeps growing, how patient you all are with our silliness and occasional shouting matches, and how fun it still is to hop on the computer once a week and jabber about movies for an hour or so. We hope you're all still having as much fun as we are.